The classic combo—salty and sweet—come together again. And how better than in cheesecake form! 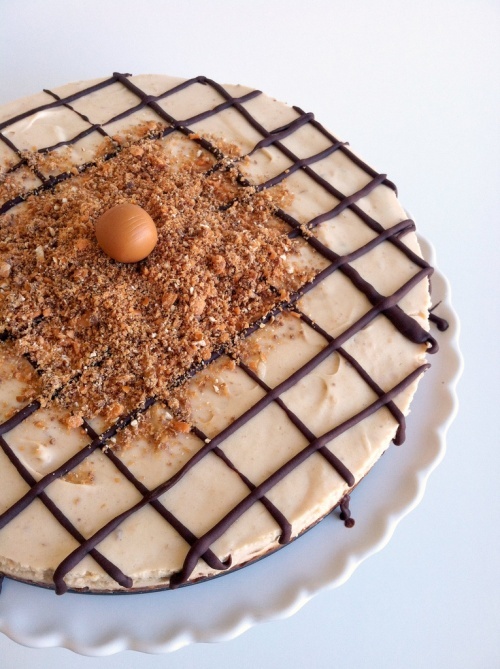 I have recently been enjoying trying out all the wonderful ways to put a twist on traditional cheesecake. Cream cheese is becoming a consistent stock item in our apartment—in icings and cheesecakes, on crackers and in casseroles. And we love neufchâtel cheese, as it tastes the same and has 1/3 the fat. 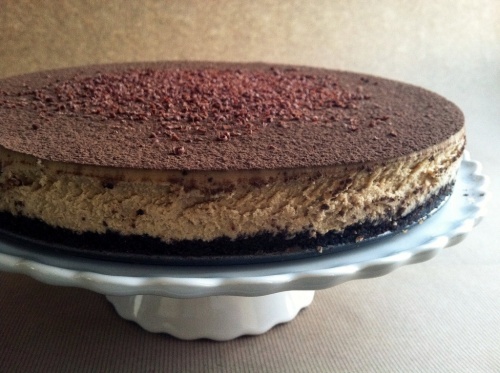 And this recipe is no bake, no stress. Try it out and you’ll find out just how delicious this new twist on an old favorite really can be. Love at first sight. This recipe was undeniably a must-make as soon as I glimpsed a picture and mumbled in disbelief, “is that an oreo? !” These have it all, a light whipped topping, smooth cheesecake center, and of course a delicious oreo crust. They are easy and impressive, and the cookie is a wonderful surprise. As soon as I turned them upside down to show off the oreo bottom in response to all the “what are these?” you can see it—-the look only an oreo can bring. Don’t we all have childhood memories with these treats? After all, they are ‘milk’s favorite cookie’. 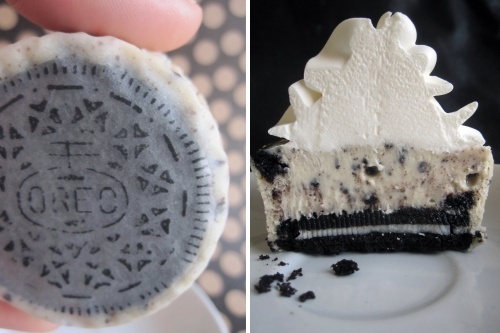 Author Kyra KetnickPosted on August 29, 2011 February 1, 2019 Categories cheesecake, cupcakes, dessertLeave a comment on how do you oreo?